Editor's Note: This paper was first published as a pamphlet by the Napoleonic Association in the late 1970s. The Napoleonic Association has very generously given us permission to place it on the Napoleon Series. It is reproduced in its entirety except for those parts that cover wargaming. Click here for more information on the Napoleonic Association. All Imperial and Royal line infatry wore one of two styles of dress, the 'German' or the 'Hungarian'. German, Croat, Walloon, and Italian regiments all wore the 'German' style, which consisted of a white, single breasted 'unifomrock' with facings in the regimental colour (see appendices), white trousers, and black gaiters. For Hungarian troops, the tunic was also white, but the trousers were light blue with ankle boots. These had yellow/black/yellow piping down the outside seams and also in the pattern of an 'Austrian knot' on either thigh front. The difference in the two types were limited to the cuffs, as shown. Facings on the tunic consisted of collar, cuffs, turnbacks (sewn-down by this time), and shoulder strap and pocket piping. 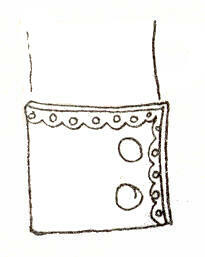 The tunic was a smart and simple garment, while still distinctive. Apart from the facing colour, a regimentcould be in part identified by the button colour (see appendices). Infantry buttons were all of uniform design, as shown, but were cast in either white or yellow metal. Drummers uniforms had 'Musicians' Wings' in the regimental colour, with white lace piping. 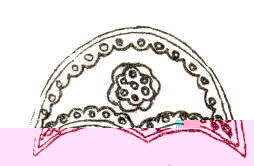 The cuffs were also piped with this lace. 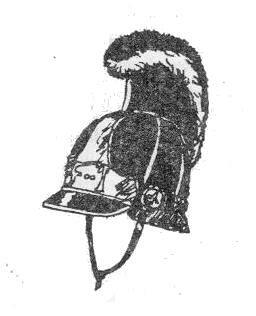 Headwear was either a kasket (helmet) or tschako for fusiliers or a bearskin for grenadiers. It had been decided that hte infantry (fusiliers) would adopt the tschako in 1806, but this process was not completed until after 1809. Thus some regiments were still wearing kaskets in that campaign. The kasket was of sturdy leather construction, and had metal fittings. It was surmounted by a yellow 'kammgarten', topped black. Its replacement was partly due to teh expense involved in manufacture. The tschako, made of felt and leather, had a peak front and back, and a leather chin-strap. 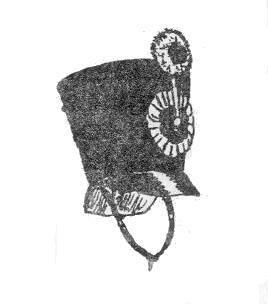 This 'double-peak' was later copied by the British in the 'Albert' shako. 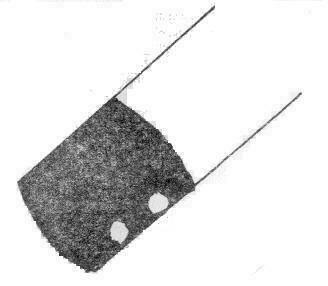 The top of the tschako was slightly imprest, the roof being some ½" below the rim. A yellow and black ribbon cockage was affixed to the front, with a pom-pom in the same colours above, the two connected by a cord or metal device. Both the M 1806 and M 1811 tschakos had a height of 8 inches. The bearskins worn by the grenadiers had a brass plate in the front, and two peaks, similar to the tschako. At the rear, it carried a cloth device, the 'lehnstuhlmutzl', which was in the regimental coulur, with white braiding. The black and yellow pom-pom was carried on the right. 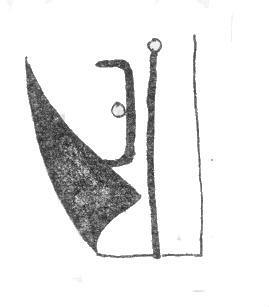 The hozmutze, or lagermutze was of simple design, and very modern, being much like the present type US overseas cap. Made of the same white material as the uniform, these were piped yellow for all regiments. Whenever possible, all infantry wore a sprig of oak leaves in their head-wear. 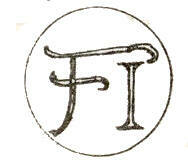 This was the 'feldzeichen', which had been the symbol of the Habsburg troops since medieval times. Rank distinctions can be found in the appendices. The greatcoat was of a very dark grey, almost black. This also carried regimental coloured buttons. Officers were uniformed in basically the same style as the men. The main difference on the tunic were in the lack of shulder straps and the longer coat tails. The dress regulations of 1811 advised officers of the preference of the staff to white coat-tails among the infantry officers, but this was largely ignored by officers who preferred to retain turnbacks in the regimental colour. 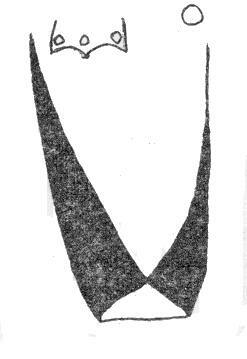 The double-breasted haupentrock (overcoat), had a collar in the regimental colour. 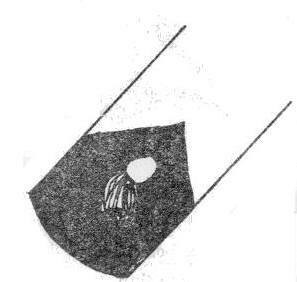 The symbol of an officer's commission was his silk sash, which was wrapped around the waist and tied so that the tassels hung down on the left. The sash itsel, was yellow-gold, with black thread flecked in lines through it. It was worn when on duty. The officer's pattern of kasket was slightly higher than the other ranks. 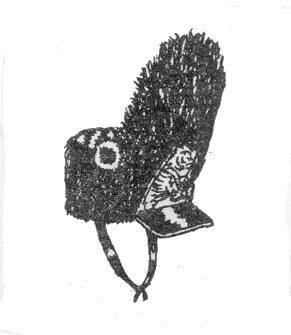 Similarly, the pom-pom on the shako was larger, and was gold instead of yellow. Field officers (major upwards) were entitled to wear the 'zweispitz', or bicorne. This was made of velvet, and had gold braiding around the rim and on the cockades etc. Officers had gold braiding, etc. in place of the yellow of theother ranks, and also wore boots of varying types, ecorated to the wearer's taste! All officers were permitted to carry a black cane, with a brass or white metal head. With many articles of uniform officers did as they pleased, as was normal in armies of the period. Some illustrations show what must have been the Devil incarnate to a quartermaster!